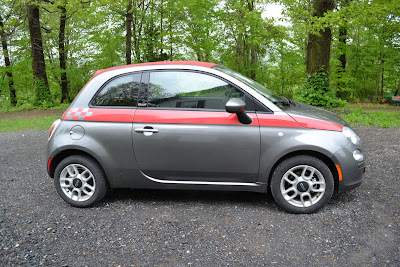 Last week I had the opportunity to drive the new Fiat 500c. 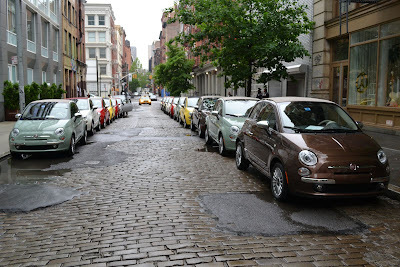 Fiat laid out a route that took us through the cobblestone streets of old New York City then up through the beautiful Hudson Valley. The streets of NYC are a test for any car's suspension. Cobblestones, potholes, chuckholes and washboard road surfaces would intimidate any car manufacturer's press department. 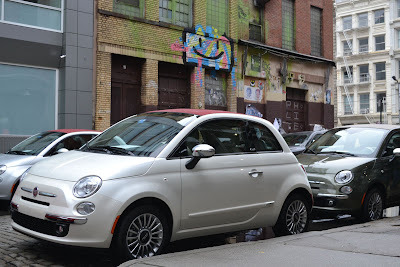 At first I wondered why would we be there, but once I put my thinking cap on I realized it was the perfect venue, the Fiat 500c is the premier city car but also the perfect weekender. 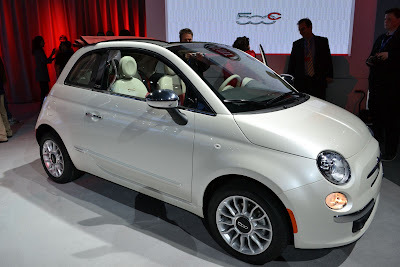 Fiat was fully confident in the 500c ability to handle all conditions. And it was a test for, besides the rough NY roads, there was the rough NY weather, which had turned rainy all week. The event I was invited to was a ride and drive, where you and a partner take turns driving and navigating, there is a stop off, or two to take it all in and the obligatory over the top lunch. I teamed up with a well known road tester from a big time car magazine. I truly should say lucked out, because later when it was his turn to drive, I had a front seat to a first class performance of outstanding vehicle control. 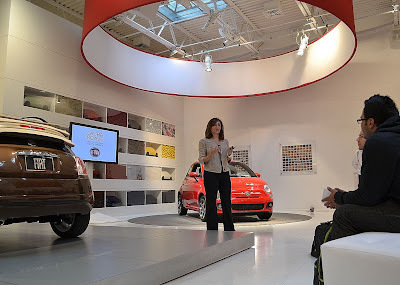 The event began with a briefing by Laura Soave, Head of the Fiat Brand in North America and Fabio DiMura, chief engineer on the North American Fiat 500 project. We then picked out a car and took off on our route. I was first up, as my partner was still suffering the effects of mixed up travel plans and a bottle of wine. About 20 seconds into the drive, we both figured out that we're test driving a convertible with the top up, and it was currently not raining, so that was quickly dealt with. 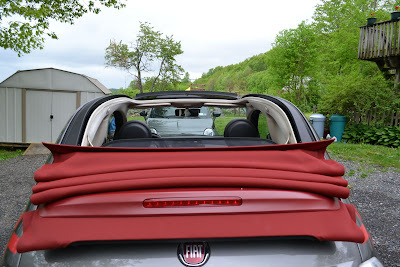 The electric top on the 500c goes back in stages you can slide it back to the rear spoiler traveling up to 60mph, then completely fold it back down at speeds up to 50mph. 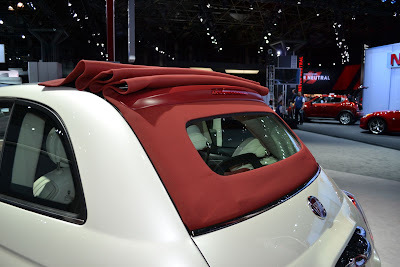 I should mention now that the Fiat 500c doesn't have a full folding convertible top, but a huge sliding dual layer, canvas top much in keeping with the original 1957 Fiat 500. While some may lament not having a fully open experience, structural integrity, quietness and driving dynamics are the winner in this solution. 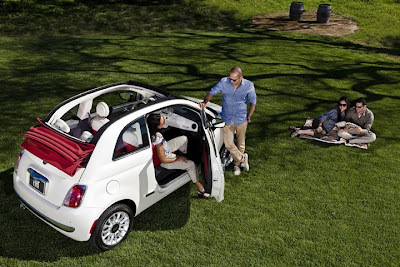 The 500c is exceptionally rigid and has all the safety features of the 500 hatchback. The cobblestone streets and washboard road surfaces were the first test of the 500c. 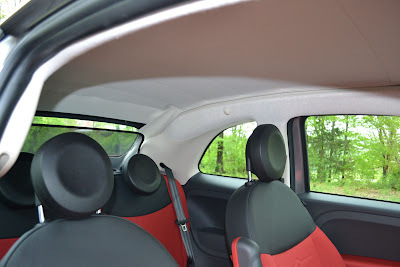 Normally when you cut off a car's roof, you lose an enormous amount of strength, however, careful engineering and a reinforcement behind the rear seat parcel shelf have given the 500c 70 percent less cowl shake than its key competitor. Indeed, on the brutal NYC roads cowl shake was non- existent. The ride on the 500c was exceedingly comfortable and compliant. Impact harshness from hitting gigantic potholes was dealt without drama and was particularly impressive. 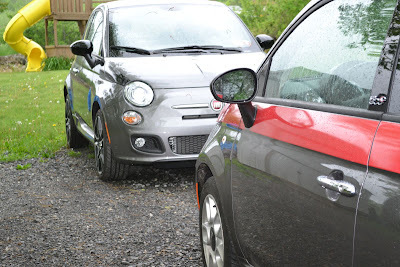 This is one of the areas the North American Fiat 500 excels over the European 500. A stiffer chassis, upgraded upper-strut mounts, and re-tuned control-arm bushings deal better with the rougher roads we have here in this country. 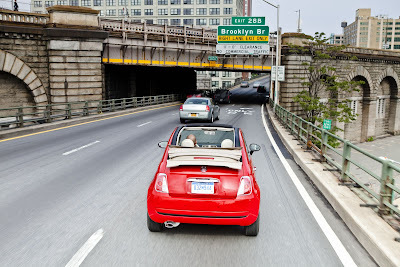 Once out of NYC, we were able to enjoy the 500c cruising capabilities. While on the Palisades and Taconic State Parkways, we routinely hit speeds of 80 mph. Folks familiar with this area know that these picturesque roads are windy and filled with long grades. The 500c handled them with aplomb, only when accelerating up the longest grades at less than 2500rpm do you feel the need to downshift. Sound levels while cruising at these speeds with the top back are also impressive. 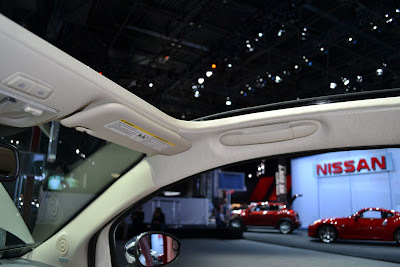 There is a wind deflector that eliminates all the buffeting associated with top down driving. 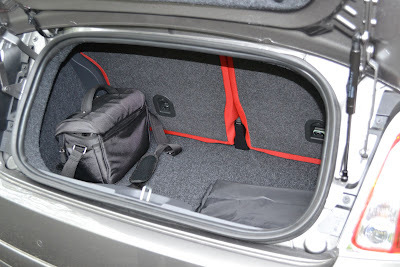 This is an area where the 500c really shines. Twenty minutes in a conventional convertible at high speed with your hair being beaten around will have you reaching for the top up button. 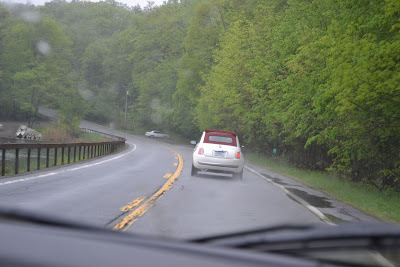 This doesn't happen in the 500c, in fact, the car was so comfortable that, during our several hour long drive up from the city to the village of Rhinecliff on the Hudson River, we had the top back all the way, only closing it twice when the rain got heavy. Sound levels inside the car with the roof up were unusually quiet. 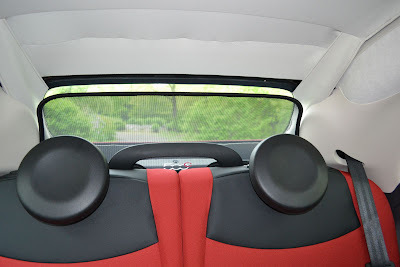 The dual layered top, insulation and strong chassis contribute to the FIat 500c having the quietest interior (at 45mph, 70mph and lowest powertrain noise) when compared with its main competitor (spelled MINI). With the roof up, there is also more headroom front and back than the 500 hatchback, plus the roof is finished particularly nicely. 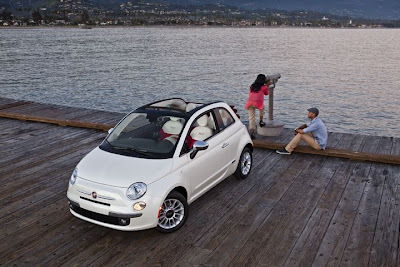 When it is down, the top fills the rearview mirror, but Fiat includes rear sonar park assists as standard equipment on all models. You may think all this talk of comfort would mean the handling is willowy and soggy, but that was pleasantly not the case. The suspension is well damped, especially on rebound, and at 80mph, the car was remarkably stable, and undulations produced no sign of float. After a snack stop, we switched off; I became navigator and my co-driver took the wheel. That gave me time to soak in the 500c experience in between my navigation duties. I got so caught up enjoying the ride and talking about cars, I sent us south for a few miles before continuing our northern direction. Oh well, don't tell anyone. I have to say it was a quite a treat sitting in the passenger seat while my co-driver, an experienced road tester, took on the twisty back roads Fiat mapped out for us. These roads consisted of many tight, down hill, off camber turns and switch backs, plus the normal upstate NY road patches, ridges and bumps. After the first few "we're still accelerating, and there is a blind turn coming up" moments, I just held on and enjoyed the show. The pace was fast as he tested the car's agility, pushing it near the limits of what one can do sanely on the streets. The corners would come up in quick succession: left - right - left- and were never the same, the apex usually marked with a bump. One memorable corner combination we charged into was a tight 90 degree, off camber right turn, just over a crest, followed by a quick left. Turns like this can cause lesser cars a lot of trouble as the rear end goes light, but the 500c and my friend, handled it with no drama. My inner dialog failed, and I exclaimed "that was awesome! ", and he commented the car felt planted and it would take a lot to catch it off balance. 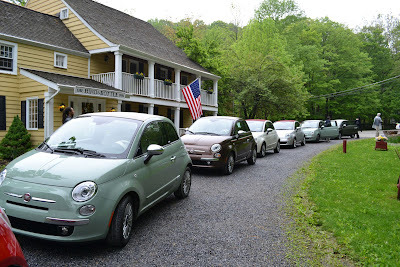 The entertainment lasted until our lunch stop in Rhinecliff, where we relaxed and mingled with Fiat engineers and top brass. Fiat had been monitoring our drive with eco:Drive, the program that analyzes and scores your driving habits and gives you hints on saving fuel and reducing your carbon footprint. The team with the highest (and the most eco-friendly) score won a prize. My partner and I had the lowest score of the 27 attendees! 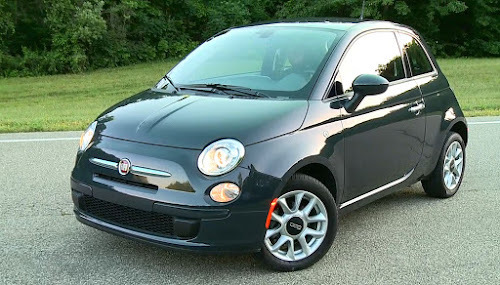 Summed up, the Fiat 500c is a charismatic car full of Italian style. Comfortable, practical and fun, It is a great way to spend a sunny (or rainy) day! Fiat USA has teamed up with the renown FIGO hair and beauty salon in Birmingham, Michigan to support the charity Forgotten Harvest. The mission of Forgotten Harvest is to relieve hunger in the Detroit metropolitan community by rescuing surplus, prepared and perishable food and donating it to emergency food providers. Read more about this worthy charity here at the Forgotten Harvest website. FIGO is an award winning salon that is known for creating superb fashion and beauty designs for their clientèl. FIGO (fee-go) is Italian for "great, cool, hip, the best" and really is the perfect adjective to also describe the Fiat 500. Here is the FIGO website. 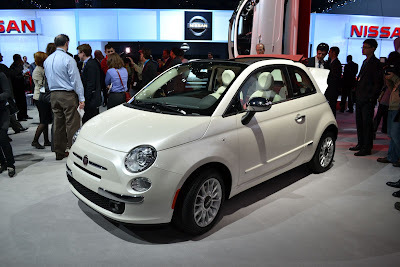 Fiat USA will be giving away a new 2012 Fiat 500. 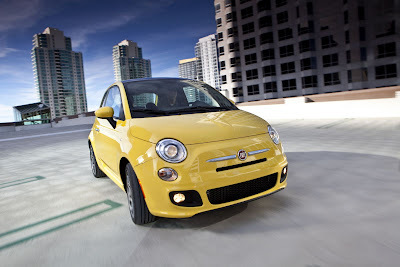 The FIGO + FIAT 500 Vehicle Giveaway contest runs from 8 a.m. Friday, March 25 to 6 p.m. Friday, August 12, 2011. The grand prize winner will be announced Saturday August 13, 2011 at the FIGO Client Appreciation Event at Tre Monte Ristorante in Troy. It is easy to enter the contest: come into FIGO for a service or just fill out an official entry form (available at FIGO) and deposit it in the contest box. No purchase necessary. 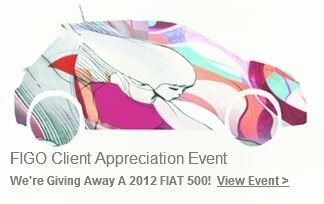 Auburn Hills, Mich. , May 26, 2011 - Friday has been renamed “FIAT at FIGO on Fridays” at the FIGO Salon located in Birmingham, Mich. 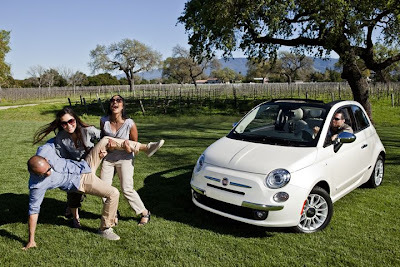 Both Fiat and FIGO are working together to show support for Forgotten Harvest’s mission. Each Friday through Aug. 12, FIGO will donate 10 percent of all retail sales to Forgotten Harvest and will hold a weekly silent auction from local merchants to benefit the charitable organization. One lucky visitor to the salon also will have an opportunity to win their very own 2012 Fiat 500 by entering the “FIGO + FIAT 500” vehicle giveaway. To enter the contest, visitors can fill out an entry form at the salon, no purchase is necessary. One grand prize winner will be selected in a random drawing held on Aug. 13. The contest is open only to legal residents of Michigan, Indiana and Ohio, 18 years of age or older. Attendees to Fiat at FIGO on Fridays also will be able to participate in FIGO Salon’s client appreciation event, “Driven by Style,” an invitation-only annual event, typically reserved for FIGO clients. Driven by Style will be held at the Tre Monti Ristorante in Troy, Mich., on Saturday, Aug 13. 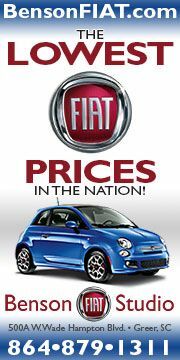 For more information on FIAT FRIDAY at FIGO Salon visit figosalon.com. 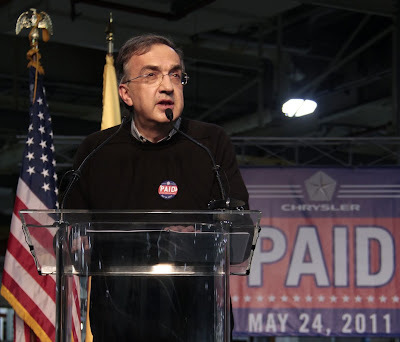 Yesterday, Fiat CEO Sergio Marchionne penned a letter to Fiat SpA employees describing the news that Fiat now has a controlling interest in Chrysler. In the letter, he describes his vision of the future, where the two companies grow as one and become not the biggest, but the best. 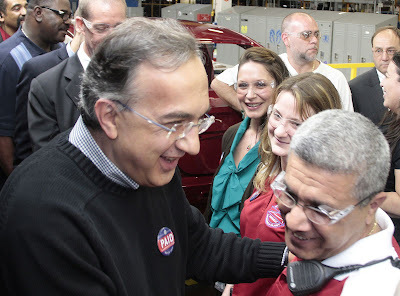 "I am writing to you all because today is an important day for Fiat, as well as for Chrysler. This morning, our American partner repaid in full the loans it received from U.S. and Canadian governments after emerging from bankruptcy protection less than two years ago. Those loans not only gave Chrysler a second chance to demonstrate its full potential, but they also represented an act of faith in our alliance, in the ability of Fiat and Chrysler to create something better and lasting. 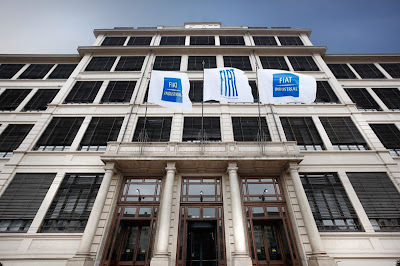 Over the past few months, our American partner has achieved a remarkable turnaround that has enabled it, in a very short space of time, to reshape its destiny: it has returned to financial health, reporting a net profit for the first quarter this year; it has renewed its product portfolio and it is once again achieving growth in all markets. Today, a day in which Chrysler has delivered on its promise – repaying not only the credit lines but also the trust placed in it – an important chapter has closed and a new chapter is beginning for our alliance. Fiat's acquisition of a controlling stake in Chrysler is simply a financial and technical formality. What is significant is that we can now accelerate our project to create a global automaker determined to position itself as a leader in the industry. The moment could not be more important. We are at the threshold of a unique transformation. All the conditions are in place for us to accelerate and consolidate the industrial integration of our two groups within the next few months. As a painter will tell you, every painting – even the greatest masterpiece – begins with splashes of color on a canvas. Giving life to a piece of art is much more a question of inspiration, passion and vision, than just technical skill. The Fiat-Chrysler alliance is still in its infancy. Most of the paint is still on the palette and we still have much work ahead of us. When two enterprises integrate, they share everything. Industrial resources and know-how, projects and targets, challenges and ambitions. But the most important thing is that they share a common spirit and values. The values I am referring to are integrity, dedication, the ability to maintain promises, transparency and respect, as well as rigor, reliability and passion. These are the values upon which we began rebuilding Fiat seven years ago and it is important today, more than ever, that we continue to nurture those values. Chrysler has embraced those very same values and they are now an integral part of the corporate philosophy of both organizations. We have the responsibility and privilege that go along with being part of such a worthy undertaking, a project that will require maximum commitment from everyone to become a reality. We are in the process of creating an auto group that is both stronger and more competitive. A group capable of guaranteeing its people a more certain and challenging future, where the exchange of cultures and know-how will be a source of professional and personal growth. We need to embark on this journey with shared aspirations and a shared vision of what we want the business to become. Not the biggest, just the best! My best personal wishes to you all as we continue to work toward this worthy goal." Concurrently with the closing of the refinancing of Chrysler’s debt and the full repayment by Chrysler of its debt to the U.S. and Canadian governments today, Fiat has consummated the exercise of its option to purchase an incremental 16% interest in Chrysler, pursuant to the terms of the arrangements announced on April 21, 2011. 1. This percentage gives effect to the dilution of the Class A Interests held by all members (including Fiat) arising from the occurrence of the final Performance Event (or “Class B Event”) contemplated by the LLC Operating Agreement of Chrysler (the “Ecological Event”). The additional interest without giving effect to the final Class B Event is 17.23%, which will be diluted to 16% upon the occurrence of the Ecological Event. 2. 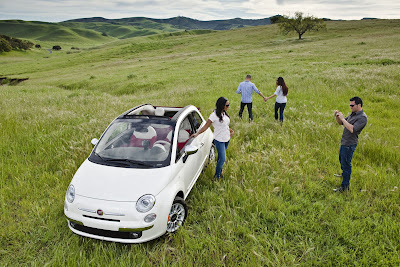 Fiat’s interest in Chrysler may further increase by an additional 5% (subject to dilution of any Class A Interests then held by Fiat) upon achievement by Chrysler of the Ecological Event. Fiat may also purchase an additional 5% interest in Chrysler (subject to dilution of any Class A Interests then held by Fiat) in substitution of the increase associated with the Ecological Event (the “Alternative Call Option”). 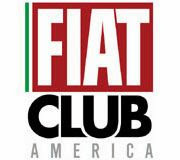 Fiat has an option to purchase 40% of the VEBA’s interest in Chrysler issued to the VEBA as of June 10, 2009 (the “Covered Interest”), which option may be exercised from July 1, 2012 until June 30, 2016, semi annually, in tranches not exceeding, for each exercise, 20% of the Covered Interest (the “VEBA Call Option”). Exercise price for both of these options is determined before an IPO occurs using a market multiple (average of multiples of certain automotive companies, not to exceed Fiat’s multiple) applied to Chrysler reported EBITDA for the most recent four quarters less net industrial debt and if an IPO has occurred based on market price of common stock. In addition Fiat has a right to purchase the entire interest held in Chrysler by UST (the “UST Call Option”), which may be exercised in the twelve months following the repayment of Chrysler’s debt to U.S. and Canadian governments. Before an IPO occurs the exercise is price based on a determination of the equity value of Chrysler to be agreed upon between Fiat and UST or, absent agreement, established by the average of the closest estimated values determined by two of three investment banks appointed by the parties. If an IPO has occurred exercise price is based on market price of common stock. The relevant agreements are available at the Internet site of the United States Department of Treasury(here) and as Exhibits to Chrysler’s filings with the Securities Exchange Commission (here). Chrysler will host a live ceremony today formally announcing it will repay the $7.5 billion in government loans it received 2 years ago. Chrysler will be able to repay the government by refinancing their debt at a lower interest rate and with sales of debt securities to institutional investors. In doing so, Chrysler will save $300 million per year in interest by refinancing the loans at a lower rate. Here is the breakdown: Chrysler will receive loans of $4.3 billion from financial institutions and will issue $3.2 billion in bonds. Additionally, Fiat will pay $1.3 billion. 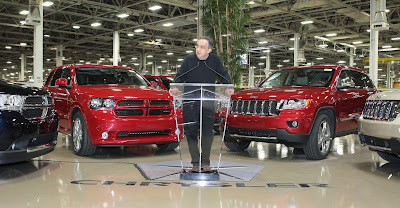 Chrysler Group LLC CEO Sergio Marchionne, Assistant to President Obama for Manufacturing Policy Ron A. Bloom, and Deputy Director of the National Economic Council Brian Deese will join government officials, UAW representatives and employees at the Sterling Heights Assembly Plant to formally acknowledge and express gratitude for the financial support from the U.S. and Canadian governments. Event begins at 2:15 p.m.
Media arrival time at 1:15 p.m. 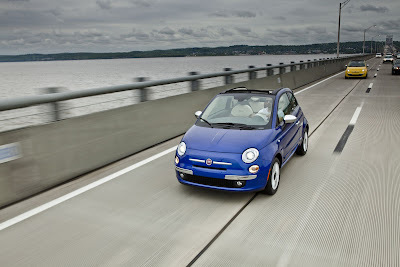 Notable is last year, Fiat's 1.4L MultiAir Turbo won "Best New Engine 2010". 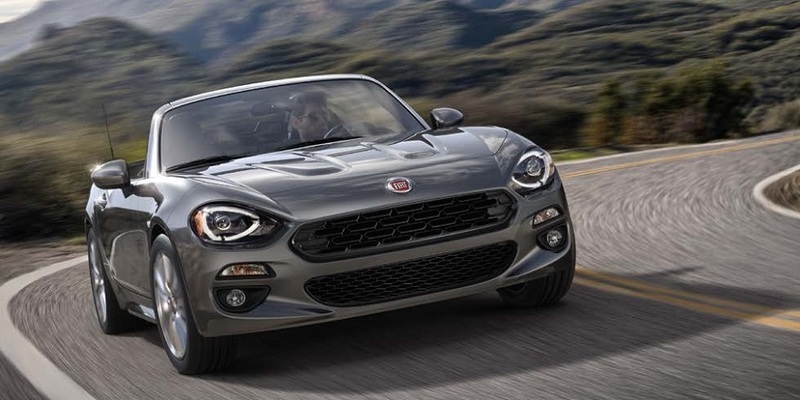 With that, Fiat has joined BMW in becoming the only car maker in the history of the Awards to record back-to-back victories in the New Engine class. 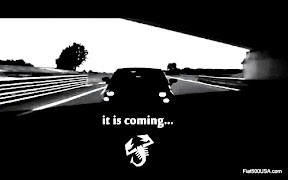 The 1.4L MultiAir Turbo will show up next year in the new North American Fiat 500 Abarth. The Fiat TwinAir is based on the concept of "downshifting"; achieving the power of a larger engine with a much smaller unit. We've seen this concept of turbocharging a smaller engine to achieve the horsepower of the larger engine before. What is new is the application of MultiAir, the technology that Fiat invented, that boosts torque output, fuel economy and drivability all while lowering emissions. Previously, these smaller turbocharged engines would make good power when on boost, but suffer from a lack of torque at lower rpm when off boost, taking away from their drivability and driver enjoyment. MultiAir (which has been described as variable valve timing on steroids) boosts torque during these periods and truly enable the smaller engine to better match the larger engines drivability. 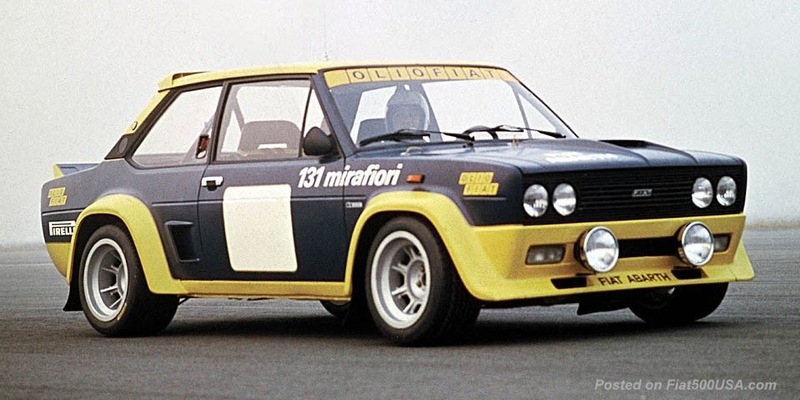 You can read more about the Fiat TwinAir here. Expect to see this "downshifting" concept applied to future Fiat/Chrysler products here in this country. If we're lucky, maybe we'll even see the exciting 105hp TwinAir here in America! Fiat SpA has collected six awards in the “International Engine of the Year 2011” competition: an array of four victories for the revolutionary TwinAir engine by Fiat Powertrain and two for the 4,499 cc V8 engine powering the Ferrari 458 Italia. The jury, consisting of 76 journalists and industry experts, from 36 different countries, not only decreed the success of the TwinAir engine in its own displacement category (less than 1,000 cm3), but actually elected it “International Engine of the Year 2011”, assigning it the top award in the competition. 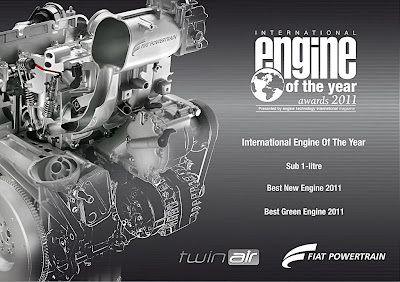 The TwinAir engine by Fiat Powertrain also won the “Best New Engine 2011” and “Best Green Engine 2011” awards. An unprecedented triumph, added to the “Best New Engine 2010” award which the 1.4 MultiAir Turbo engine was awarded last year, confirming Fiat Powertrain's leadership in developing and producing small displacement engines with a high technological content and low environmental impact. Members of the jury had some highly flattering comments to make about the TwinAir: “This is proof that aggressive downsizing need not spell timid performance. Surprisingly torquey, impressively and affordably efficient, this tiny twin also has plenty of character" - John Carey, Wheels, Australia. “Four trophies in one year? A remarkable performance! TwinAir has written its place in the history of the International Engine of the Year Awards” - Dean Slavnich, Engine Technology International, UK. The awards for the TwinAir engine were collected by Aldo Marangoni, Product Engineering Vice President and by Dario Sacco, Engines Platform Vice President. “Today's success is the crowning moment of all our hard work in researching innovative technological solutions and designing increasingly efficient engines. 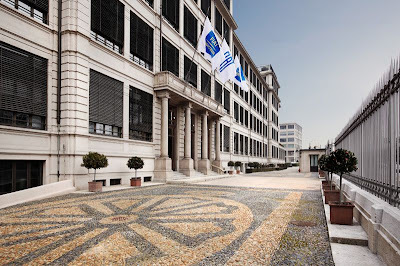 Our engines contribute towards sustaining the leadership position of Fiat S.p.A. in the rankings of the most eco-friendly car manufacturers” declared the managers of Fiat Powertrain at the end of the awards ceremony. In assigning the awards the jury also praised the 458 Italia’s engine for its unmistakable sound. 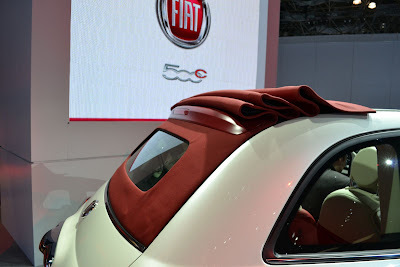 Here are some images of the Fiat 500c launch held April 21, at the New York Auto Show. 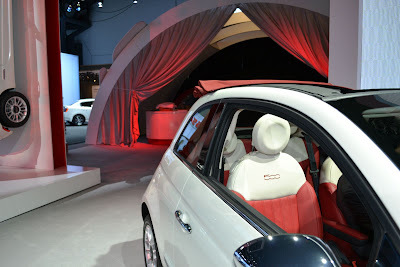 The Fiat stand was the busiest display on Press Day. 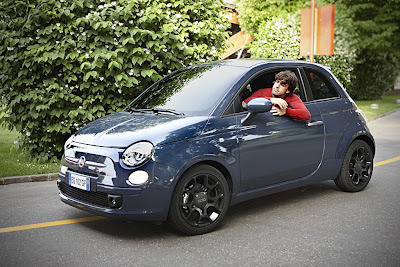 Production began last month, so expect to see the Fiat 500c in Fiat Studios shortly. 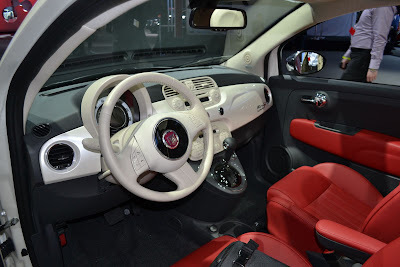 For more images, go the the Fiat 500c Photo Gallery here. 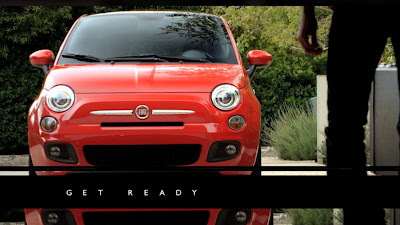 Get Ready Because Fiat Is Back! 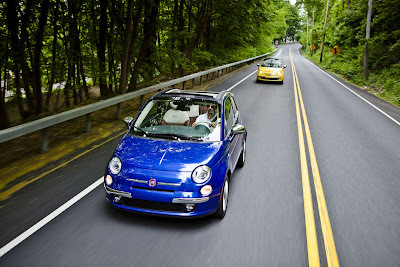 Fiat USA put together a music video that celebrates the Fiat 500's arrival in the US. 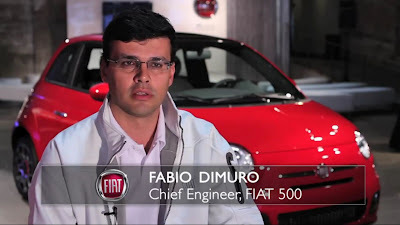 Enjoy the video below and don't forget to visit the official Fiat USA website and stay up to date with Fiat USA's Facebook page. The pairing procedure will only need to be performed once for your mobile phone. 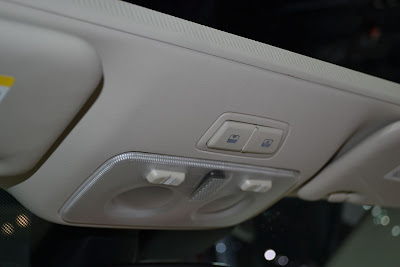 After this procedure Blue&Me™ will automatically connect to your phone each time you get into the car and turn the ignition key to ON. Press /MAIN to open the Main Menu, then select SETTINGS by pressing PRESET UP/OK. Select PAIRING and then press PRESET UP/OK. The system will start the pairing procedure. The system shows the mobile phone pairing PIN on the instrument panel display and repeats it. Please note that this is a PIN used just for this operation, it is not your SIM PIN. 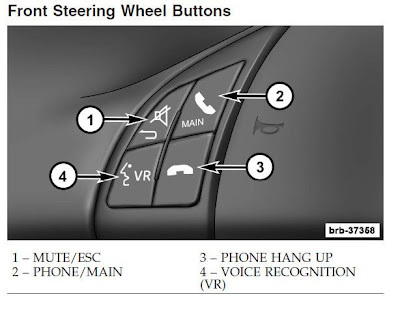 For the next two steps, consult your mobile phone owner’s manual about Bluetooth pairing. On your mobile phone, query for devices equipped with Bluetooth wireless technology that are within range(this option on your mobile phone might be called Discover, New Device, etc.). View the list of Bluetooth wireless technology enabled devices and select “Blue&Me™ ” (item that identifies Blue&Me™ on your car). When prompted by the mobile phone, enter the PIN number shown on the instrument panel display. If pairing is successful, the system will say “Connecting” and then the display will show the paired mobile phone ID. It is of vital importance to wait until this confirmation message is displayed since pressing /MAIN or /ESC at the time may cancel the pairing process. If pairing fails, an error message will be displayed and the pairing procedure shall be repeated. At first pairing, the system will say “Welcome” immediately after connecting. This message will no longer be heard at next pairing procedures. For more information on how Blue&Me works, consult your navigation and multimedia manual or view a copy online here. Laura Soave was honored last Friday with the “La Bellissima America” (America the Beautiful) award. The prestigious award is presented by the Italian American Museum and is given to Italian-Americans who are leaders in their field and have contributed positively to American culture and society. On behalf of Fiat enthusiasts that visit my site from all over the country, I'd like to congratulate Laura Soave on this well deserved award. 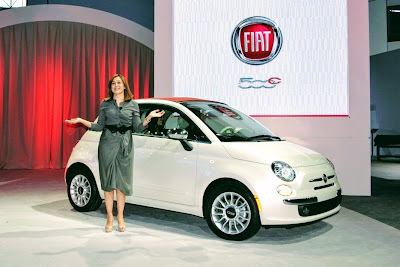 New York , May 6, 2011 - The Italian American Museum in New York City has honored Laura Soave, Head of FIAT Brand North America, with its “La Bellissima America” (America the Beautiful) award. Each year, the award is presented to outstanding individuals who have distinguished themselves in their chosen field and in doing so have given great pride to the Italian-American community. The award was presented as part of the Museum’s “Unification Dinner,” celebrating the 150th Anniversary of the Italian Republic. The event was held at the Jolly Hotel Madison Towers in New York City. 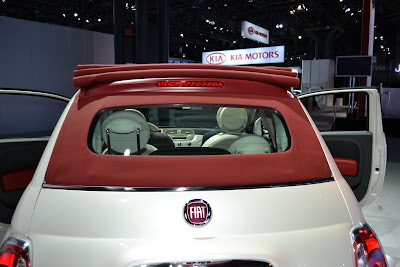 As Head of FIAT Brand North America, Soave has led the reintroduction of the FIAT Brand in North America, beginning with the Fiat 500 and now the Fiat 500 Cabrio, which was premiered to rave reviews at the New York International Auto Show on April 21. 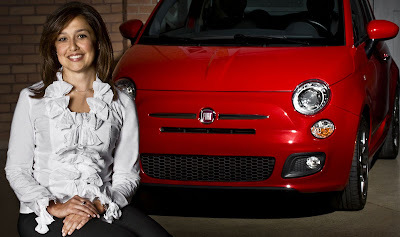 Before joining Chrysler Group, Soave was the head of experiential marketing at Volkswagen of America. Prior to that, she held positions of increasing importance at Ford Motor Company. Soave holds a Master of Business Administration degree in marketing from the University of Detroit and a Bachelor of Science degree in business administration from Walsh College in Michigan. 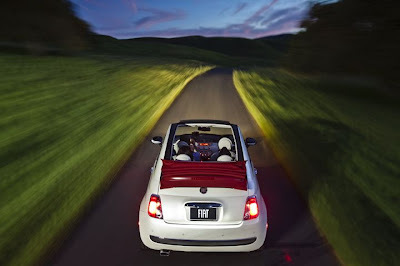 The FIAT Brand stands for discovery through passionate self-expression, starting with the North American introduction of the iconic Fiat 500, or Cinquecento, to be followed in the spring by the Fiat 500 Cabrio. 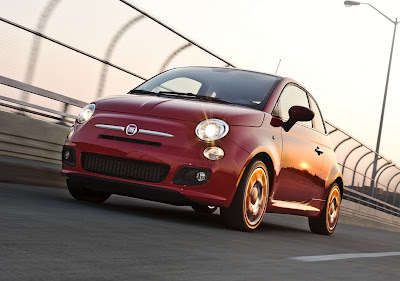 Reminiscent of the original Cinquecento, the new Fiat 500 is a car that builds on the vehicle’s global popularity. Since its initial launch in 2007, more than 500,000 Fiat 500 vehicles have been sold in more than 80 countries around the world. 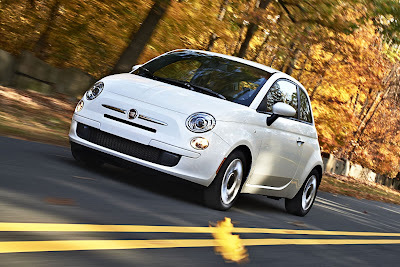 In addition to success on the sales front, the Fiat 500 has earned 60 international awards, including the 2008 European Car of the Year, 2009 World Car Design of the Year and Best New Engine of 2010 (FIAT MultiAir® Turbo), to name a few. The Italian American Museum is located at 155 Mulberry St., at the corner of Grand St. in the heart of New York’s Little Italy. The Museum’s hours are Wednesdays through Sundays, 11 AM to 6 PM; Friday to 8 PM. For more information, call 212-965-9000 or visit the Italian American Museum website here. Founded in 2001, the Italian American Museum is dedicated to exploring the rich cultural heritage of Italy and Italian-Americans by presenting the individual and collective struggles and achievements of Italians and their heirs to the American way of life. The Museum received its provisional charter from the New York State Board of Regents on June 12, 2001, and is a 501 (c) 3 organization. 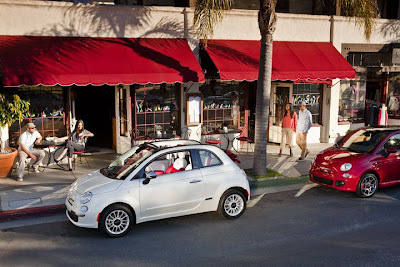 By now you know the Fiat 500 is a global phenomenon, being sold in more than 80 countries and winning more than 60 major awards. But besides the award-winning design the Fiat 500 offers an outstanding value story with a seemingly endless list of features/equipment. 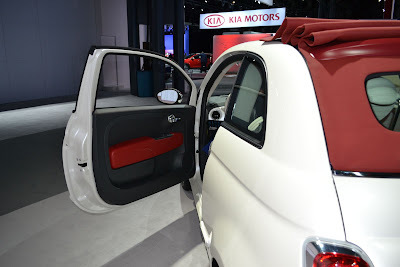 There are three versions of the Fiat 500: Pop, Sport and Lounge. All versions are well equipped (the Pop has over 100 standard features) and provide a way to express your individuality. 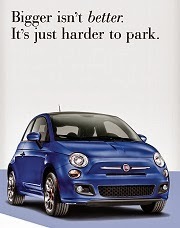 The Fiat 500 Pop is for those who appreciate Italian style, efficiency and want personalization options. Floor mats emboided with "500"
The 500 Sport is for driving enthusiasts who like Italian car design and want more convenience features. 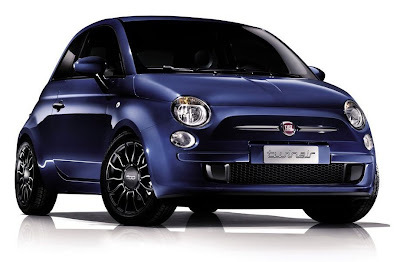 The 500 Sport has modified springs and shock tuning, steering calibration and exhaust tuning. Outwardly, the 500 Sport is distinguished from other 500 models by its distinctively styled front and rear fascias with larger ‘honeycomb’ grilles and flared aerodynamic treatment, new bodyside sill cladding, a liftgate-mounted roof spoiler and unique 16-inch aluminum wheels with Mineral Gray painted pockets. eco:Drive™ Application and iPod control capability. 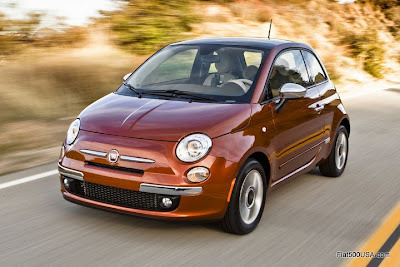 With 14 paint colors available in metallic, non-metallic and premium tri-coat pearl finishes, every new 2012 Fiat 500 will be distinct. 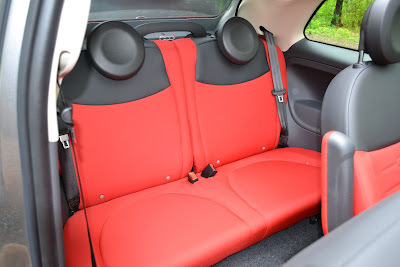 In addition, the interior is available in two interior environments (Black or Ivory) with 14 unique seat color and material combinations for an individualized look. 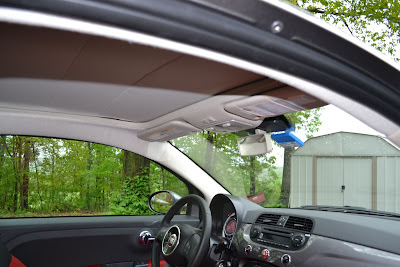 For a complete list of features and equipment available on the 2012 Fiat 500, see this previous post. Go to the Fiat USA website here and build your own unique 500! 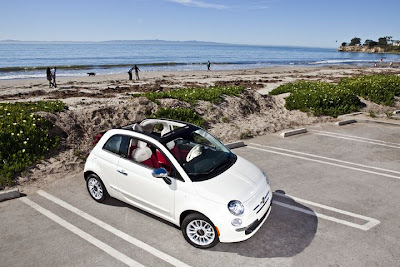 Fun in the sun with the new Fiat 500c Cabriolet. A great car on a beautiful spring weekend... does it get any better?